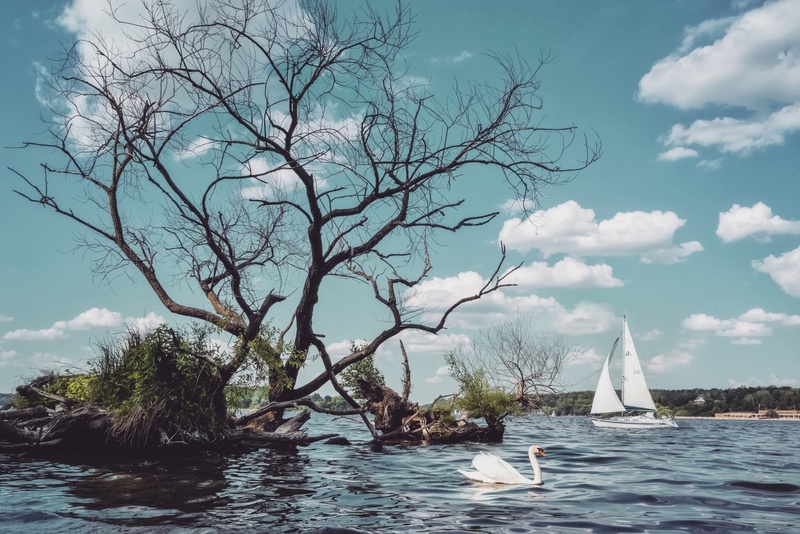 The swan, the sailboat and the tree of Großer Wannsee. Berlin, Germany.. Very pretty scene and one of my favorite Phil Collins songs!